Trichy, the fourth largest city of Tamilnadu is also known as Tiruchy and Tiruchirappalli. Situated on the bank of Cauvery, Trichy is a city that enjoys richness in every aspect. Being an industrial and educational hub, this amazing city attracts the youth and the growing sector, whereas rich culture and historical monuments allure tourists across the globe. Hindu festivals and traditional welcome add some more flavour to the Trichy tour. This famous land has gained immense appreciation for artificial diamonds, hand loom cloth, cigars, glass bangles and wooden and clay toys. Trichy enjoys international popularity for a brand of cheroot which is known as Trichinopoly cigar. 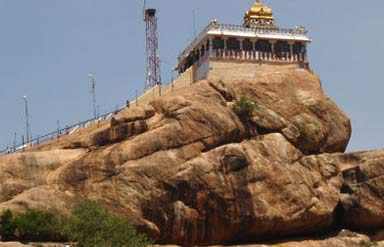 Rock Fort temple is the most famous temple complex in Trichy. It houses different temples in its complex including Thayumaanavar, Maanikka vinayagar and Uchchi pillayar temples. Bird eye view of Trichy can be experienced from here. Spell bound architecture of the history can be witnessed at Sri Ranganathaswamy Temple, which is the most popular temple of Trichy and represent sleeping form of Lord Vishnu. Jambukeshwara Temple is dedicated to Lord Shiva and known as a sacred place of five elements. 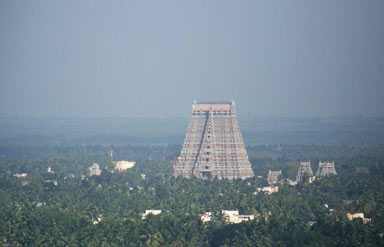 Some other major temples include Gangaikondacholapuram, Viralimalai Murugan, The Maariamman, Tiruvanaikkaval, Gunaseelam Vishnu, Vekkaliamman and Vayalur Murugan Temple. St John's Church and St. Joseph’s Church are the two most popular tourist attractions that are known for their beauty, spirituality and also for their old architecture. 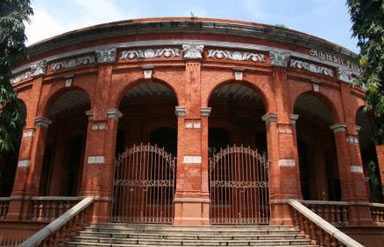 Government Museum, Kallanai Dam, Mukkombu, Jaamiya Masjid, Puliyancholai, and Thablay Aalam Baadsha Dhargah are also must to visit during you travel to Trichy. The sacred city of Trichy welcomes its tourists throughout the year but the best time to travel here is considered in between the month of October to March. 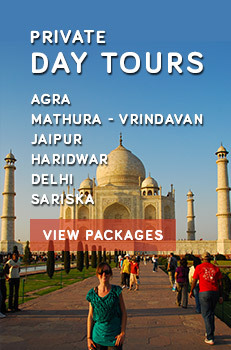 Trichy tour can be enjoyed with the accommodation facility in budget, mild range and splurge hotels. By Air: Tiruchirapalli Airport is counted among the busiest airports. All major service providers facilitate travellers with regular domestic as well as international flights. By Road: Tourist who travel to Trichy can take bus services from any nearby city. A wide network of roads connects Trichy with all important cities. By Rail: Southern railway service connects Trichy with frequent service to and from different cities of Tamil Nadu and all prime locations of the country.